1. Heat the vegetable oil in a wok or large saucepan over a high heat and fry the curry paste for three minutes. 2. Add garlic, lemongrass, lime leaves and half the coconut milk and cook for about five minutes, until the sauce starts to split. 3. Add the coriander, chicken and chillies and simmer for 15 minutes. 4. Stir in the remaining coconut milk and cook for a further three minutes. 5. Add the prawns and the pea aubergines and cook for two minutes or until the prawns have turned a pink colour. 6. Just before serving, fold in basil leaves, lime juice and fish sauce. 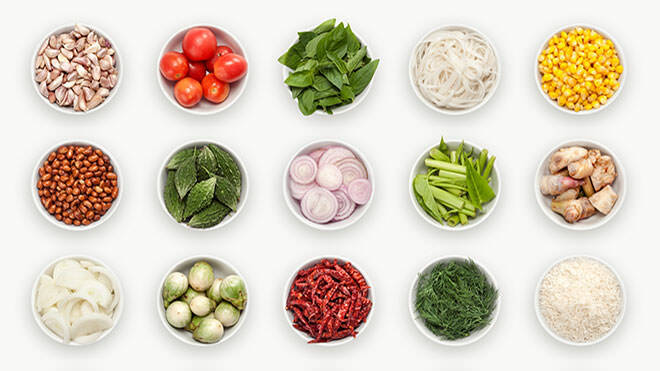 Garnish with fresh coriander and serve immediately with Thai fragrant rice.